High School Can Feel Like An Alien World. | For Sherman Capote, It Is. ALIENATED: GROUNDED AT GROOM LAKE is the completely classified, and totally true, autobiography of Sherman Capote, the only human boy in the high school for aliens at Area 51. ALIENATED publishes on November 1, 2019 in paperback and you can pre-order it now! The book is out now in Germany from RandomHouse, with more languages soon to be announced. 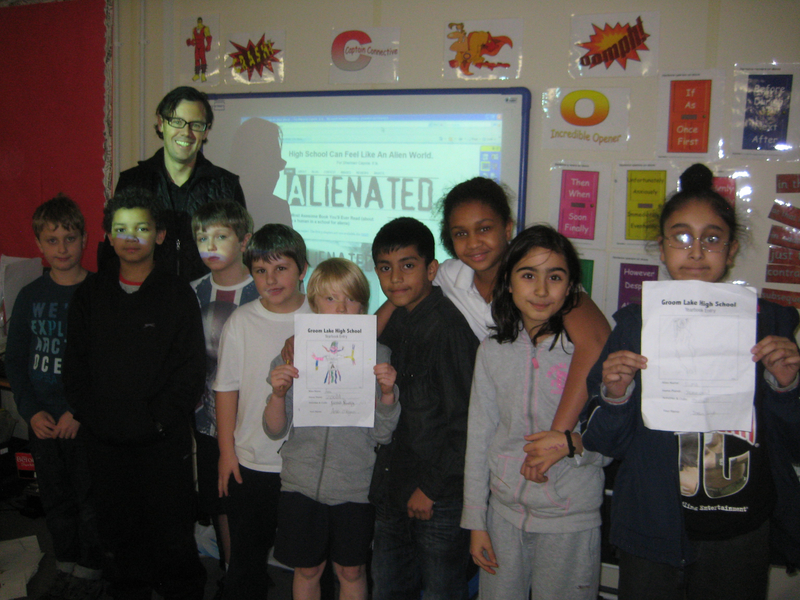 ALIENATED is a comedy-adventure set in the most hostile place in the universe: high school. Sherman’s top secret story was leaked by a source in the U.S. Air Force base at Groom Lake, Nevada, to Jeff Norton. Risking everything, Jeff has shaped Sherman’s story into this brand-new book! The book reveals the shocking secrets long suspected but never confirmed: aliens are real, they live among us, and by Nevada state law, they are required to go to school until they’re eighteen. Jeff workshopped the book with over 100 beta-readers, sharing the manuscript in draft form and asking for feedback along the way. Our beta reading program is now closed. Thank you to the over 100 beta-readers who have helped us shape this incredible story. It’s been an awesome creative journey and we are now in the final stages of copy-editing the book. If you want to know more, like us on facebook or follow @thejeffnorton to stay up to date with other Awesome Reads.